The Prospects Premier 14-U travel softball team won the Midwest Regional National Championship last weekend. 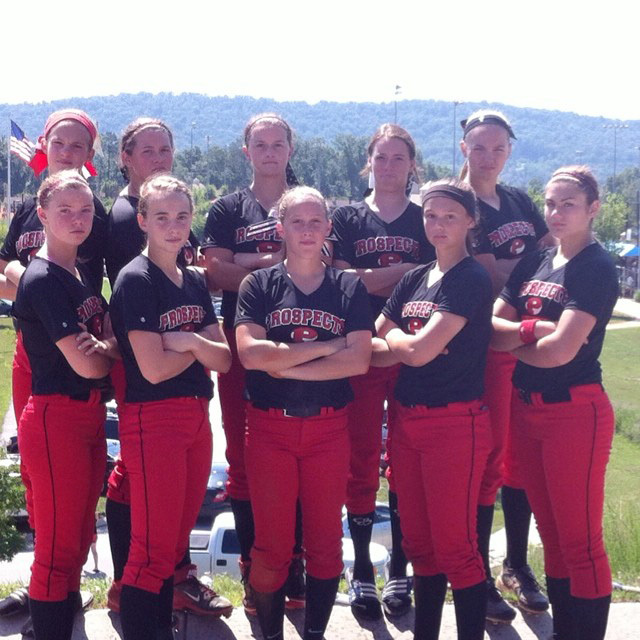 ST. CHARLES, Ill. – One of Indiana’s finest 14-U softball teams shut the power off for an Ohio team at last weekend’s Midwest Regional National Championship fastpitch softball tournament. The Prospects Premier 14-U softball team, based in Indianapolis, rolled through the tournament and twice defeated the Ohio Power, 2-1 each game, to claim the championship. The Premier, which features Wawasee High School standout sophomore Meghan Fretz, outscored its five opponents 47-5 in pool play before taking on the Ohio Power in the final two contests. Prospects Premier, which has players from all over Indiana and one from Illinois, had a long reign of success this summer. Premier won the Ohio Stingrays tournament in Columbus, Ohio, and also the Fourth of July Firecracker tournament in Indianapolis. The team also went undefeated while playing in the Scenic City Showcase in Chattanooga, Tenn., but play was truncated due to rain. The Prospects Premier team play under the guidelines of the Premier Girls Fastpitch association.